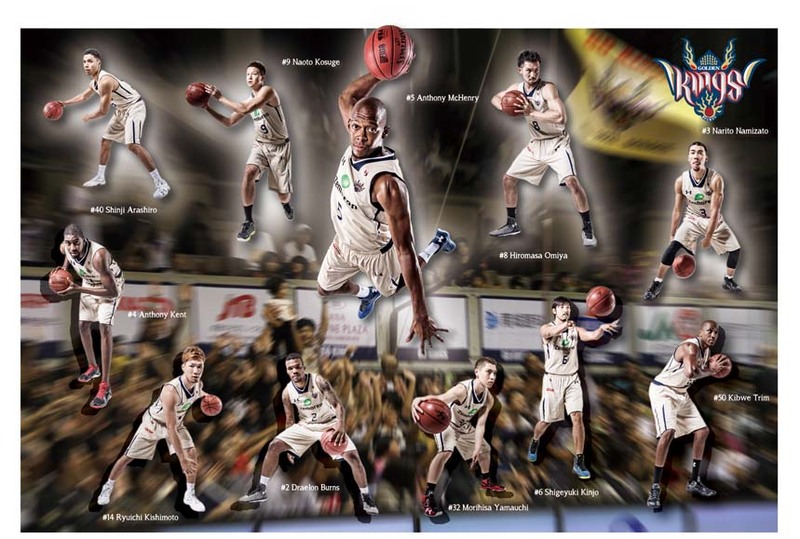 The Basketball Japan League –of which the Ryukyu Golden Kings are the reigning champions—is celebrating its 10th anniversary this season, bringing new faces, teams and a major sponsor. The Ryukyu Golden Kings’ team for the season 2014-15, of whom two are new faces while three players from last year’s team left. For this and next season, the league has a new major sponsor, Turkish Airlines, and as the naming rights go with the sponsorship, the bj-League is now known as the Turkish Airlines bj-League, or shortly TK bj-League. With 247 destinations, the airline is the fourth-largest carrier in the world by number of destinations, and is building its brand image in Japan through the coveted age groups who pay attention to basketball. The Fukushima Firebonds have joined the TK bj-League this season, bringing the total number of teams to 10 in the Western Conference while the Eastern Conference has 12 teams. Okinawa’s Ryukyu Golden Kings recaptured the league championship last season and now hold three championships, the same as the Osaka Evessa. If the Kings grab the championship again this season, it’s the first second consecutive win for the Kings and the highest number of championships in the league. The Hamamatsu Higashi Mikawa Phoenix also holds two championships and could be in the same boat as Osaka and Ryukyu if they win. For this season, three players of the ast season&s championship team opted to leave while two new payers joined the team. Most notably, Jeff Newton left the Kings after the last season ended, the only player to have the experience of winning a total of six championships in the bj-League. He won playing with Osaka and Okinawa, but because of his knee injury he lost much playing time on the court in last season and decided to leave. Yoshiki Yamashiro retired. Masaya Karimata moved to a fresh squad with the Fukushima Firebonds. New faces have been added to Kings roster, including Hiromasa Omiya, who came from Kumamoto Volters of the Japan Basketball League. He is a 197cm tall 92-kg forward. Because of his physical size he can stand up well even against foreign players, and his quick and dynamic play is expected to help the Golden Kings a lot. Anthony Kent joined the Kings, too. Kent is a 208-centimeter, 103-kilogram center. He should be tall enough to fill Jeff’s position. The first Golden Kings home game is this weekend in the Naha City Gymnasium against the Shimane Sunsanoo Magic. Turkish Airlines has in recent years actively pursued sports event sponsorships, as Turkish Airlines was chosen as the official carrier by Europe’s leading football clubs such as Borussia Dortmund, Olympique de Marseilleand Aston Villa. The airline has also made sponsorship and promotion deals with renowned athletes and actors, including: Lionel Messi, Kobe Bryant, Caroline Wozniacki, Kevin Costner and Wayne Rooney. The company is the primary sponsor of the Turkish Airlines Euroleague since 2010 and was among the sponsors of the 2010 FIBA World Championship. On Oct. 22nd 2013, Turkish Airlines and Euroleague signed an agreement to prolong their existing sponsorship deal by five years until 2020.Turkish Airlines is the sponsor of the Turkish Airlines Open, a European Tour annual golf tournament that began in Turkey last year. The Turkish Airlines became the kit sponsor of Galatasaray for the 2014–15 UEFA Champions League. This is the first kit sponsorship fo Turkish Airlines.